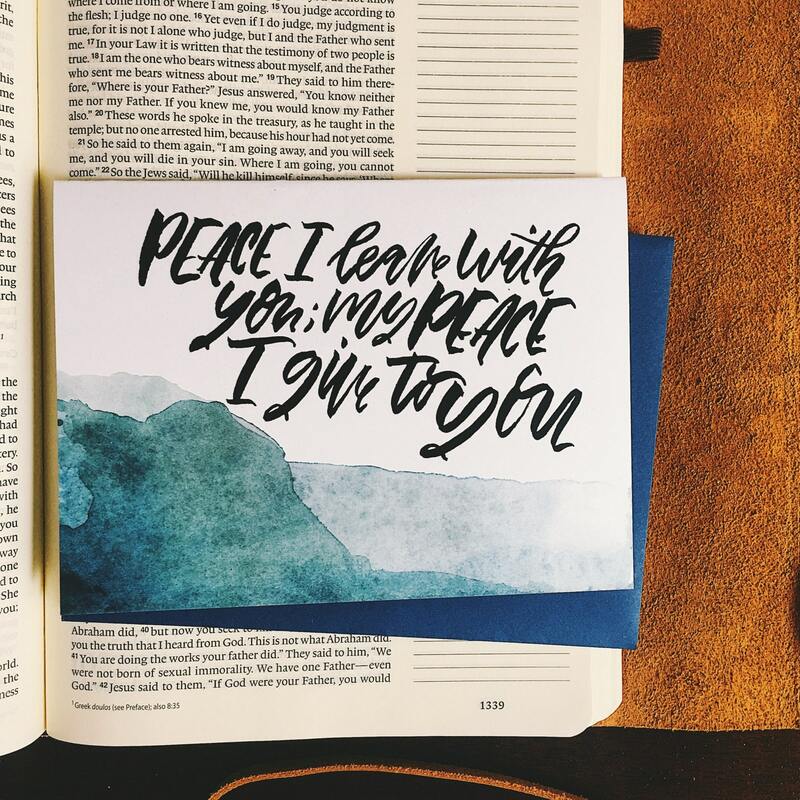 John 14:27 reads "Peace I leave with you; my peace I give you. I do not give to you as the world gives. Do not let your hearts be troubled and do not be afraid." 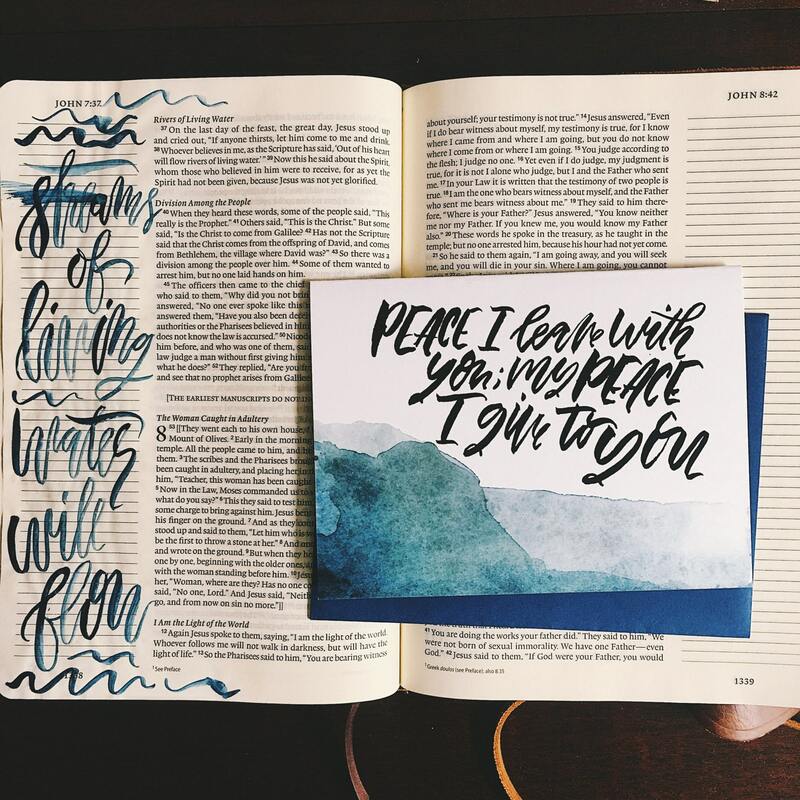 I love this scripture for all who are going through a difficult time and need reminding that God's peace is with them. Whether it is a sympathy card for the loss of a loved one, or just a "keep your chin up" message, this card is sure to encourage.